There are hundreds of new cookbooks released every single day, covering all kind of cuisines and diets and taking you on a culinary adventure that, quite frankly, can get a little repetitive. After all, there’s only so many cookbooks you can read before the recipes start repeating on you, especially when you consider that every epicurean worth their salt seems to have a handful of books to their name. But there are books out there that take you down a different path, books that contain recipes you won’t find on every shelf. They aren’t peddled by TV chefs who seem to take a break from reality shows every Christmas to peddle their latest culinary offering, and yet they have more merit than anything those big names can offer. Here is a selection of our favorite ones. The Gift of the Greek is a celebration of olive oil and its medicinal properties. This is everything you could ask for in a Greek cookbook. It’s compact (no more oversized cookbooks refusing to fit in your bookshelf) it packs in dozens of recipes, and it weaves a culinary story through Greek’s food history. It is fresh and simple Mediterranean cooking at its best and it’s well worth a read. We were one of the lucky few to receive a sample copy of the book from the publishers so we got our hands on it a good few weeks before release, but you can order your copy in February, 2018. 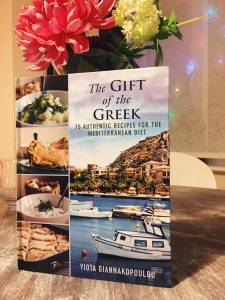 It’s available worldwide in most major offline and online retailers and you can learn more on the author’s website at My-Greek-Food.com. This is to Indian food what the Gift of the Greek is to Greek food. It explores the cuisine of this vast subcontinent as never seen before. Indian food has been adopted by countries all over the world but it is often bastardized in order to better suit local tastes. 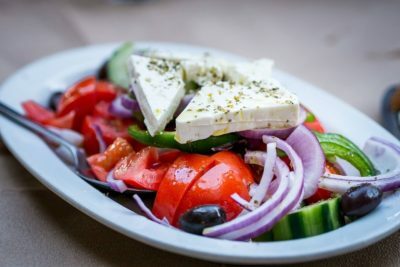 Lately, we’ve all become a little more aware of what we’re eating and what we should be eating and authentic international cuisine has taken off as a result. The author is a passionate home cook who grew up in an Indian household in the United Kingdom. She recreates the recipes of her childhood which are a stark contrast to the fare served at Indian restaurants everywhere from the UK to the US. It turns out that there are bigger sellouts than celebrity chefs and Coolio—who sold over 17 million records but is best known to the current generation for having unflattering dreadlocks and a passion for cupcakes—is one of them. But as much of a cash grab as this book would seem at first glance, it’s actually really good. 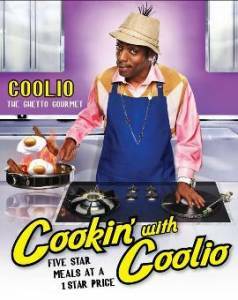 Coolio promises “5 star meals at a 1 star price” and every recipe is served with a side of swearing and a splash of humor. It’s a cookbook like no other and one that makes for a good read even if you can’t cook. The Twisted channel has over 1 billion views and has amassed quite a following over the years. Keen to cash in on that they have released a book of 30 recipes that are just as bizarre and outlandish as the ones you can find in their popular videos. It’s an experiment in home cooking that could easily become a culinary nightmare, but will be worth the journey nevertheless. The book is a little short and some of the recipes seem to be taken from the channel, but there are some unique ones here as well and it still makes for a great gift for the adventurous cook in your life.